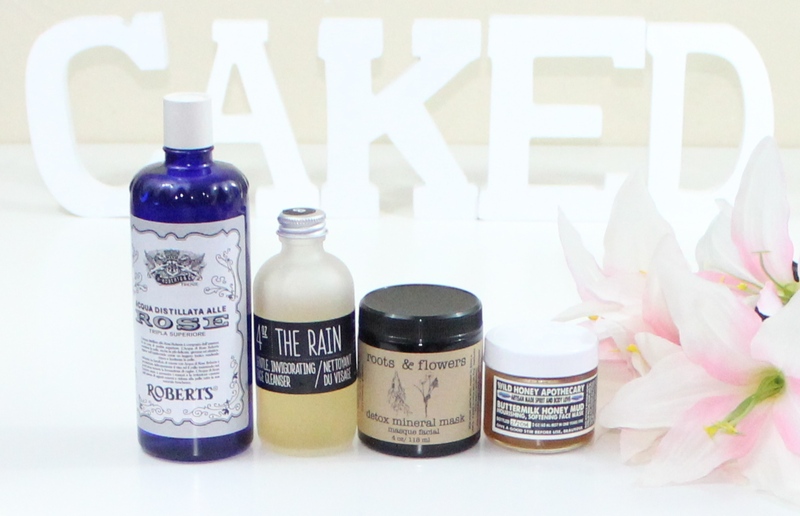 Left To Right: Roberts Florentine Rose Water, Belmondo The Rain cleanser, Roots & Flowers Detox Mineral Mask, and Wild Honey Apothecary Buttermilk Sandalwood Honey Mud. When you hear the words Urban Outfitters, you probably don’t think skincare, but during their recent 20% off beauty sale I picked up a few things that really stood out to me, and I wanted to share them with you. Once I test the products out some more, I will be doing reviews for you. Hopefully I find some great products that help my skin out and can share them with you! Roberts Florentine Rose Water | I have a love affair with rosewater so much to the point that I love making it myself. However, sometimes you want to be lazy so I’m glad I picked up this rose water. This smells sweet and rosy, and it is supposed to sooth and soften your skin. You can even use it in your hair or add it to your delicates to add a nice flirty aroma. Belmondo The Rain Cleanser | I’ve already started using this, and so far I like it. It is all natural and has some great ingredients. This was the priciest out of the bunch and you don’t get a whole lot. I’ve already used up quite a bit of it, and don’t even us it that often. I think this is something you can definitely DIY at home. The word cleanser is a bit misleading because it is more like a toner. You pour some onto a cotton pad, wipe it all over your face, and the bottle says not to rinse off. Thus, I think this is more of a toner that just pulls any excess grime out of your skin. Roots & Flowers Detox Mineral Mask | This mask comes in an all powder form containing products that are great for your skin: activated charcoal, bentonite clay, kelp, and chamomile flowers. Once you add some water and form a paste you apply this to your skin and wash it off with warm water once it dries. This is supposed to be great for blemish prone skin, while also calming it, which is what I definitely need. Wild Honey Apothecary Buttermilk Sandalwood Honey Mud | Last is another mask that is supposed to help nourish your skin, and the ingredients are great for blemish prone skin. This is all organic and contains honey, which is ideal for blemish prone skin types because it is naturally antibacterial, and it soothes and repairs skin. It also has grape seed oil, buttermilk, aloe vera, sandalwood and argan oil that are all organic as well. I’m hoping this will help fade any scarring on my skin and just leave it more even and bright. I definitely have high hopes for all of these products and hope they really help my skin out; if they do (or don’t) I will definitely report back. Who knows, maybe Urban Outfitters will become my new favorite place to shop for natural skin care products! Have you tried any UO skincare products? Do you have any favorite natural skincare products? Let me know in the comments below!